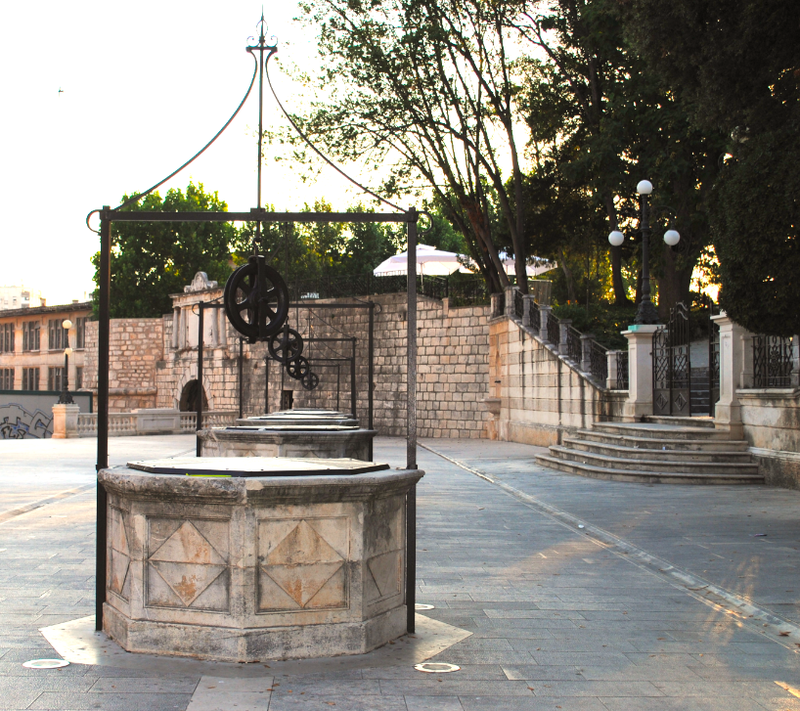 The Square of Five Wells (Trg Pet Bunara) is located between the medieval city walls and the park named after Queen Jelena Madijevka. Built to withstand the Turkish sieges of the 16th century, the square features five ornamental wellheads from where the square acquired its name. The venetians built a large drinking water cistern to supply the five wellheads. A remnant of the city’s defence system, the Captain’s Tower, is located on one corner of the square.